The announcement that the US is moving to directly arm the Islamist militias and other armed gangs laying waste to Syria represents a further descent into crisis and outright criminality by the Obama administration. US and other Western officials report that the Pentagon has also provided the administration with plans to impose a no-fly zone to carve out a swathe of Syrian territory at least 25 miles deep along the Jordanian border for the purpose of massing, training and arming proxy forces to invade Syria. These measures, which will be taken in alliance with Britain and France, the two former colonial overlords of Syria and the surrounding region, are part of a war of aggression aimed at subjugating an oppressed, former colonial country to the strategic and profit interests of Washington and its closest NATO allies. The Whi te House claim that this military escalation is a US response to the regime of Bashar al-Assad crossing Obama's "red line" and violating "international norms" by using chemical weapons against the so-called "rebels" is an insult to the intelligence of the people of the United States and the world. The drive toward direct intervention has nothing to do with any desire to protect human life in Syria. The provision of new and more powerful weaponry will result only in a proliferation of sectarian massacres by Sunni Islamist "rebels" like the one that claimed the lives of at least 60 people, most of them women and children, in the eastern Syrian village of Hatlah earlier this week. As for a no-fly zone, its preparation would entail massive bombings of Syrian air defenses in densely populate areas, threatening thousands of additional deaths. No evidence whatsoever has been made public substantiating charges that the Assad regime used sarin gas "on a small scale," a highly improbable action which would make absolutely no military, much less political, sense. The statement issued by Obama's deputy national security adviser Thursday even acknowledged that the alleged evidence of the use of sarin gas "does not tell us how or where the individuals were exposed or who was responsible for the dissemination." Last month, Carla Del Ponte, lead investigator for the UN's international commission of inquiry on Syria, told the media that evidence indicated chemical weapons had been "used on the part of the opposition, the rebels, not by the government authorities." The White House reported that it had shared its "evidence" with the Russian government. Yury Ushakov, foreign policy adviser to Russian President Vladimir Putin, said of the US briefing, "I will say frankly that what was presented to us by the Americans does not look convi ncing. It would be hard even to call them facts." Like the allegations of "weapons of mass destruction" in Iraq more than a decade ago, the chemical weapons charge against Syria is a bald-faced lie. The Obama administration, following in the footsteps of the Bush White House, is trying to drag the American people into a predatory war based on phony pretexts and fabricated intelligence. The immediate impetus for the turn by the Obama administration to more direct intervention is the growing recognition that following the fall of the "rebel" held town of Qusair to Syrian troops backed by Lebanese Hezbollah militiamen, the melange of Al Qaeda and other militia forces that Washington has used as its proxy troops in the war for regime-change is facing defeat. In the aftermath of the 2011 US-NATO war against Libya, Washington believed it could easily pursue a similar strategy of hija cking popular protests and fomenting a sectarian civil war to topple Assad and impose a US puppet government. What it thought two years ago would be a cakewalk, however, has gone to hell. The fundamental reason for this debacle is not a lack of weapons--which Saudi Arabia, Qatar and Turkey have poured into the country under the CIA's supervision--or the brutality of the Assad regime, but the fact that the majority of the population, however much they might dislike Assad, hate the Islamist "rebels" even more. There is a palpable element of desperation in the latest turn by the Obama administration, which the White House left to a junior aide to announce. It is responding not only to the failure of its previous policy, but also to enormous pressure from within the ruling political establishment for war. This found sharp expression in the remarks Tuesday by former Democratic Presi dent Bill Clinton, who warned that Obama would look like a "wuss" and "total fool" if he stopped short of "dropping a few bombs." Clinton solidarized himself with Republican Senator John McCain, whose own reckless militarism makes him a candidate for either a war crimes tribunal or a mental facility. This was the culmination of a steadily escalating campaign by politicians of both parties, the media, the Washington think tanks and sections of the military and intelligence apparatus for a more direct military intervention. Serving as adjuncts in this campaign are pseudo-left groups such as the International Socialist Organization in the US, the New Anti-capitalist Party in France and the Left Party in Germany, which promote the Islamist militias and mercenaries in Syria as "revolutionaries" and fashion twisted political alibis for imperialist intervention. All of them have blood on their hands. Nonetheless, there are evidently deep divisions within the state over a war that poses the threat of drawing the entire region as well as powers with interests in Syria, particularly Iran and Russia, into the maelstrom. After the bitter experiences of Afghanistan and Iraq, there is virtually no support among the American people for US intervention in Syria. US imperialism's pretense to be championing democracy in Syria is further shattered by the revelations of its police state spying operations against the people of the United States and the world, and the vicious witch-hunt it has launched against Edward Snowden, the former National Security Agency contractor who has exposed these crimes. Despite two years of media propaganda vilifying the Assad regime and casting the Al Qaeda-linked militias as crusaders for democracy, an NBC- Wall Street Journal poll released this week showed that barely 11 percent of the US public supports even arming the "rebels." The entire political setup in the US proceeds with indifference to these popular sentiments. The hackneyed statements of the Democratic and Republican politicians have nothing to do with convincing anyone to support the war, while the corporate media churns out "news" that resembles Orwellian propaganda. It will be the working class, both in the US and internationally, that pays the price for intervention in Syria. Under conditions where it is universally proclaimed that there is no money for jobs or vital social programs, not a word is raised about what the military options being considered by Obama will cost. More fundamentally, there is an inexorable logic to a US escalation in Syria, which points toward military confrontation with Iran and potentially Russia, threatening the lives of millions. The strugg le against war, opposed by the pseudo-left groups that once led the official "anti-war" movement and now back Obama and imperialism, can be prosecuted only on the basis of the independent political mobilization of the working class against the Obama administration and the capitalist system that is the source of militarism. 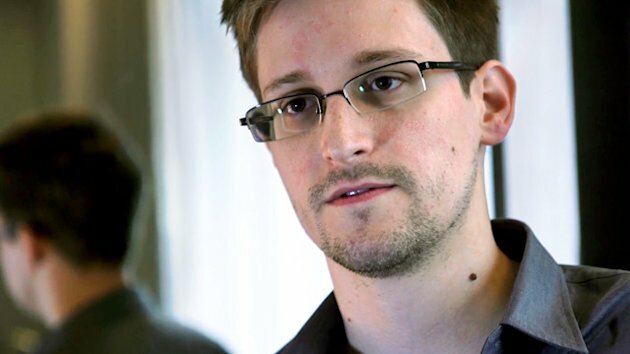 The World Socialist Web Site and the Socialist Equality Party call on all workers, students and youth within the United States and internationally to come to the defense of Edward Snowden. Snowden is the target of a massive government witch-hunt organized in response to his courageous exposure of secret and illegal surveillance programs targeting millions of people in the US and around the world. His defense is a matter of the greatest urgency. The Obama administration has already said it plans to indict the 29-year-old former National Security Agency (NSA) contractor. Congressmen, senators and media commentators have denounced him for treason and demanded that he be jailed for life or executed. The charge of treason is a vicious libel. Snowden is not the one betraying the democratic principles embodied in the Bill of Rights. By exposing the conspiracy against these rights and coming forward at the cost of his career and possibly his life, he is defending them. Snowden was not in the least exaggerating when he said his life was in danger. No doubt his decision to go public was taken in part because he realized his defense depended on an informed public, and that otherwise he could be targeted to become the next victim of the Obama administration's assassination program. What is extraord inary is that the full rage and anger of Congress and the media are directed not against those responsible for carrying out massive violations of the US Constitution, but against the man who has exposed them. Only a few weeks ago, the director of national intelligence, James Clapper, perjured himself before a Senate committee when he was asked whether any government programs collected data on millions of Americans. Yet no official or newspaper is calling for his prosecution. Nor are there any calls for impeachment proceedings against Obama. Forty years ago, Richard Nixon faced impeachment for actions that did not come close in their gravity to the violations of the Constitution carried out by the current president. The hysterical and vicious reaction of the establishment to Snowden's exposures has laid bare the degree to which anti-democratic, authoritarian and even fascistic conceptions are embedded in the o utlook of the American state and media. Within these layers there is an increasingly rabid hostility to the Bill of Rights and, behind that, the American people. Those accusing Snowden of treason and persecuting Bradley Manning and Julian Assange are themselves traitors to the democratic rights of the American people. They are complicit in a conspiracy to impose dictatorship. Lining up behind the Obama administration, the NSA, CIA, FBI and Pentagon, the massive propaganda apparatus of the American media is being mobilized in a desperate attempt to poison public opinion against Snowden. A prime example is the New York Times and its columnist David Brooks. Brooks is one of many commentators who have focused on Snowden's age, writing that Snowden is representative of "a growing share of young men in their 20s." The political establishment and the media are frightened. They rightly see in Snowden not simply an individual, but the representative of an entire generation that has become thoroughly alienated from the official institutions and lost any confidence in them as upholders of democratic rights. In a column published Tuesday, entitled "The Solitary Leaker," Brooks denounces Snowden and the millions of other young people who share his distrust of the political system, employing the same types of arguments that were used in the 1930s to defend the fascist dictatorships of Franco, Mussolini and Hitler. He champions the virtues of "authoritative structures: family, neighborhood, religious group, state, nation and world." He preaches "respect for institutions" and "deference to common procedures," and inveighs against Snowden's "strong belief that hierarchies and organizations are suspect" and his "fervent devotion to transparency." In mak ing the absurd accusation that Snowden has "betrayed the Constitution," Brooks displays not only hostility, but complete ignorance of the democratic foundations of the American republic. He writes: "The founders did not create the United States so that some solitary 29-year-old could make unilateral decisions about what should be exposed." The founders, including many in their late 20s and early 30s, defended the right of the people to "make the unilateral decision" to carry out a revolution and overthrow a repressive regime. They explicitly formulated the Constitution from the standpoint that the government was not to be based on trust, but rather on a foundation of "organized distrust," lest it turn into a new form of despotism. Hence the insistence on a government of law, not of people, and a system of checks and balances between the three branches. Brooks concludes his piece by accusing Snowden of being "obsessed" with data mining and oblivious to "the damage he has done to social arrangements and the invisible bonds that hold them together." Snowden is the product of the experiences of his generation, which have politicized and radicalized millions. Born in 1983, he grew up under conditions of growing social inequality and the collapse of the unions as organizations of social opposition. Snowden's formative political experience as he approached adulthood was 9/11 and the so-called "war on terror." Lacking political experience, his initial response was a naïve combination of idealism and patriotism. He at first believed the American government. The next ten years would shatter his illusions. He enlisted in the military because, as he has said, he "felt like I had an obligation as a human being to help free other people from oppression." He soon became disillusioned because "Most of the people training us seemed pumped up about killing Arabs, not helping anyone." He, like millions of others, discovered that the Iraq war was based on the lie that Baghdad possessed weapons of mass destruction. He saw, under George W. Bush, the use by the United States of torture against detainees at Abu Ghraib in Iraq and the US prison camp in Guantanamo, the destruction of the Iraqi city of Fallujah and countless other war crimes in Iraq and Afghanistan, and a barrage of police state measures such as indefinite detention without trial, rendition and domestic surveillance on a mass scale. He was affected by Barack Obama's campaign promises and stated opposition to the Iraq war and Bush's attacks on democratic rights, but became further alienated from the political system by what he has called "the slow realization that presidents could openly lie to secure the office and then break public promises without consequence." Snowden eloquently summed up his motives in leaking information on the NSA programs and coming forward to assume responsibility, telling the South China Morning Post Tuesday night, "I am not here to hide from justice; I am here to reveal criminality." Snowden's evolution terrifies the ruling elite. They are losing credibility and the trust of broad masses of the population. Since they cannot win back their allegiance by persuasion, they resort to terror and threats. They want to make an example of Snowden in order to intimidate others. Democracy is collapsing in America under the weight of imperialist militarism and the concentration of wealth and power in the richest one percent of the population. Working people and youth, both in the United States and around the world, must take up the defense of Edward Snowden, as well as Bradley Manning and Julian Assange. Support must be built up in work places, at colleges and schools, and in working class neighborhoods. Their defense must become the spearhead for the development of a mass movement in defense of democratic rights. The fight for democratic rights is inseparable from the development of a political movement of the American and international working class against the capitalist system, the source of war, social inequality and the drive toward dictatorship. No time can be lost. Contact the Socialist Equality Party and become involved in the fight to defend Edward Snowden. Click here to contact the SEP. Since Edward Snowden's exposure of the Obama administration's illegal domestic and international surveillance program, the political establishment and the media have been engaged in a non-stop campaign to discredit the young man and besmirch his character and reputation. To their dismay, the public is not falling for the anti-Snowden hate campaign. He is seen as a man with principles, and his warnings of a massive government conspiracy against the people's democratic rights have struck a chord with millions who resent and fear the increasing invasion of their privacy by government snoopers. If a nation-wide vote were taken to determine whom the American people found more trustworthy and believable--Snowden or his persecutors in the Obama administration, Congress and the media--the 29-year-old Ed Snowden would win hands-down. The campaign to discredit S nowden comes as no surprise. But what is particularly significant about the media campaign is the explicitly anti-democratic and authoritarian arguments that are being advanced to condemn him. Even if the actions of the government were illegal and violated the constitutional rights of the American people, so argues the media, Snowden owed the government total and unquestioned obedience. The loyalty he owed to the state outweighed whatever moral and political obligations he felt to inform his fellow citizens of the government's subversion of democracy. This argument is being advanced most vehemently by well-known liberals, some of whom burnished their reputation as opponents of the Bush administration's erosion of democratic rights in the aftermath of 9/11. Jeffrey Toobin, for example, in an article in the current issue of the New Yorker, baldly denounces Snowden as "a grandiose narcissist who deserve s to be in prison." With consummate cynicism, Toobin dismisses Snowden's concerns over the domestic spying program of the National Security Agency. "What, one wonders, did Snowden think the NSA did?" Since Toobin doesn't worry any longer about NSA surveillance, he can't understand why Snowden should make such a big deal about it. Professor Stone is singing a very different tune today. Precisely because Snowden did not "sit back passively" but, instead, took responsibility for the defense of democratic rights, Stone declares that he "is most certainly a criminal who deserves serious punishment." "But what if the employee dec ides, in his own wisdom, that some classified information doesn't need to be classified or that it would be good for the public to know the classified information? Should the employee be allowed to make that judgment? Merely to state the question is to answer it. There is no reason on earth why an individual government employee should have the authority, on his own say so, to override the judgment of the elected representatives of the American people and to decide for the nation that classified information should be disclosed to friends and enemies alike. Such an act is a complete usurpation of the rule of law. [Emphasis added]. This is an astonishing declaration! " No reason on earth..." ? In other words, an employee of the state must keep his mouth shut and refrain from exposing criminal activity no matter how injurious it may be to the rights of the American people. "No reason on earth" ! What if a civil servant uncovers a secret memorandum authorizing the assassination of a citizen? Or plans for the mass incarceration of political dissidents? Professor Stone suggests that a civil servant should be provided an official forum for the airing of his concerns through the establishment of "an independent panel of experts who can make a formal and professional determination whether the information at issue should be classified." Far from providing state employees with a means to expose government crimes, Stone's procedure would create another layer of bureaucracy dedicated to the stifling of dissent within the ranks. A potential whistle-blower, were he foolish enough to bring his concerns to the type of "panel of experts" suggested by Stone, would soon find himself under surveillance and fearful for his life. Acknowledging that no such "panel" at present exists, Stone, the erstwhile crit ic of government violations of democratic rights, poses the question: "What should Edward Snowden have done?" The answer offered by Professor Stone is: "Probably, he should have presented his concerns to senior, responsible members of Congress." [Emphasis added]. An interesting distinction! What is meant by "senior, responsible members of Congress"? Should Snowden, had he decided to discuss his concerns with an elected official, have avoided junior, irresponsible members of Congress (i.e., those who have not been given high-level security clearances)? How does one explain the transformation of Professor Geoffrey R. Stone from a critic of government violations of civil liberties into a persecutor of those who seek to defend the Bill of Rights? The same question could be asked in relation to the evolution of Jeff Toobin. Clearly, more is involved than individuals changing their minds. The evolution of these two people reflects a far broader social and political process. The breakdown of democ ratic institutions proceeds alongside the dissolution of any significant support for democratic rights within the ruling elite and its faithful retainers among the wealthiest 5 percent of the population. Aware of their distance from the social interests of the broad masses of the population, they look to the state to defend their own wealth and privileges. Robert Meeropol and his brother Michael are the sons of Julius and Ethel Rosenberg, who were executed by the US government in June 1953, on trumped-up charges of atomic espionage on behalf of the Soviet Union. Robert, the younger of the Rosenberg sons, was six years old when his parents were put to death. The Rosenberg sons were adopted and raised by Abel and Anne Meeropol. For their entire adult lives they have campaigned to expose the importance of the Rosenberg case. In the 1970s they successfully sued the FBI and CIA to force the release of 300,000 previously secret documents dealing with their parents. Robert, after having earned anthropology and law degrees and practicing as a lawyer, founded the Rosenberg Fund for Children (www.rfc.org) in 1990. The Rosenberg Fund for Children, as its web site explains, "provides for the educational and emo tional needs" of children whose parents have faced harassment, injury, prison or other attacks because of their political activities. The RFC is commemorating the 60th anniversary of the Rosenbergs' execution with a program entitled "Carry It Forward: Celebrating the Children of Resistance," at New York City's Town Hall on Sunday, June 16 at 7 PM (www.rfc.org/cifevent). Fred Mazelis of the WSWS spoke this week with Robert Meeropol. Fred Mazelis: Why do the names of your parents still evoke the Cold War and the anti-communist hysteria of that period? What makes June 19, 1953 an important date in the history of the 20th century? Robert Meeropol: One of the central tenets of Cold War ideology in the US was that there was an international Communist conspiracy out to destroy our way of life, and therefore civil liberties and human rights had to take a back seat to national security. My parents' case was proof of this equation, because they were Communists who provided the Soviet Union, according to the government, with the means to destroy us, in the form of the atom bomb. But it wasn't as simple as that. Not everyone accepted the official story. There were also millions of people who were horrified at the execution of a young couple with two small children. There were children who thought that this could happen to their parents, and a lot of these children are still alive. FM: Why do you think the death penalty was handed down and carried out? What is your opinion of your father's statement: "This death se ntence is not surprising. It had to be. There had to be a Rosenberg case, because there had to be an intensification of the hysteria in American to make the Korean War acceptable to the American people. There had to be hysteria and a fear sent through America in order to get increased war budgets." RM: In the broadest sense this is true. Certainly there had to be a Rosenberg case. At the same time, there were more narrow reasons behind the death penalty itself. It was used in an attempt to coerce cooperation. The ultimatum was, "talk or die." My mother was held hostage. The government said to Julius, "You talk, admit your guilt, or she will die too." So if you follow that to its logical conclusion, you can see that in fact they didn't want to carry out the death penalty, at least not at first. They fully intended to reward my parents by commuting the death sentence if they cooperated, but when they didn't coo perate, they had to show them who was boss, by killing them. Behind it all was the Cold War hysteria and the political aim of whipping up support for war and repression. My parents refused to capitulate. They sacrificed their lives rather than contribute to the anti-communist hysteria. FM: Can you tell us about your parents and their generation, including the impact of the Russian Revolution and the Soviet Union, and how they were radicalized as part of a broader movement of masses of working people? RM: Their political education started much closer to home. They looked out their windows on New York's Lower East Side and saw poverty and oppression. They saw families being thrown out of their homes because they couldn't pay their rent, and they saw squads of Communist Party young people move people back in, working at night and whenever they had to in order to help people defend themselves and their families. They also saw the Soviet Union, which held itself up as the defender of the working class. They saw an international movement of working people trying to create a new society. These two sides played off each other, the convergence of the two really made the difference. The promise of the Soviet Union found an echo here. FM: What about the role of Irving R. Kaufman, who presided at the trial, and Roy Cohn, who played a major role as part of the prosecution team? Do you see them as part of an effort by the authorities to immunize themselves against charges of anti-Semitism? RM: The job of Kaufman and Cohn was to demonstrate that there was no anti-Semitism involved in the case, because they were Jews and were presiding over the trial and seeking a death sentence for their fellow Jews. In fact, the role of Kaufman and Cohn reflected anti-Semitism and the case was used to encour age anti-Semitism while denying it. This was only five years after the end of World War II. American Jews were in many cases seeking to demonstrate their patriotism. The presence of Kaufman and Cohn indirectly showed that it was necessary for the Jewish population to prove its patriotism and its loyalty. The idea of the patriotic as opposed to the treasonous Jew assumes there is something suspect about the Jews in the first place. FM: Do you have anything to say about the role of Ronald Radosh and others who have continued to campaign to affirm the supposed guilt of the Rosenbergs? RM: These people are essentially apologists for the US government. To them it is much more dangerous that a few individuals like Julius Rosenberg tried to help the Soviet Union because they thought it would help the cause of peace, than that the most powerful entity on earth executed two people fo r something they didn't do. Those are just such topsy-turvy priorities that it is laughable. FM: Could you explain the work of the Rosenberg Fund for Children? RM: On a personal level I set out to help children who I see as kindred spirits, children who suffered because of attacks on their parents in response to their parents' activism. In the 20-odd years of its existence, the RFC has made grants totaling nearly $5 million to hundreds of children. I did some research on this and the trend in recent years shows the need for this work. In Barack Obama's first year in office there were some 600 political arrests. In the second year this was up to 900, in the third it hit 1,300, and then, with Occupy Wall Street and other protests there were over 8,000 political arrests in the final year of Obama's first term. Many of those arrested have childr en. They are not famous, these are not big names, and their children have educational and emotional needs. The kinds of activities supported by our grants include camp, art and music lessons, school tuition, day care, therapy and the costs of travel to visit incarcerated parents. I am now on the verge of retiring. I am not going to leave this work, but I see the need to pass on responsibility. If it is going to take years and even generations to transform our society then we on the left must work to transmit our values across generations. I see my daughter Jenn's coming assumption of leadership responsibility at the Rosenberg Fund for Children as a manifestation of that. FM: What is the legacy of Julius and Ethel Rosenberg? Is it pertinent to the issues raised in relation to Bradley Manning and Edward Snowden? The charge of treason and of revealing "secrets" to alleged enemies is comparable to the campaign a gainst the Rosenbergs. Today these attacks on civil liberties are part of a "global war on terror," an open-ended conflict used to fuel superpatriotism and comparable to the anti-communist hysteria of the 1950s. RM: The legacy of my parents is their resistance. They were confronted by the US government and told that they must lie or die, that they had to admit to being involved in atomic espionage when that was not the case. My father was involved along with a number of other young men in trying to help the Soviet Union, but he had nothing to do with the atomic bomb and he was not going to lie about it. Today, in the cases of Bradley Manning and Edward Snowden, and not only in these cases, these are young resisters, young people saying we are not going to put up with this government or any government having such awesome power to spy on the population. They will not renounce their beliefs--at least they haven 't so far, and I don't think they will. As we confront the corporate elite and the authorities, we need more people like this. The only thing I would add is that unfortunately while we have courageous individuals, what we lack is an organized mass political force to confront the corporate enemy. That's what is missing, at least so far. D'Artagnan Collier, the SEP's candidate for Detroit mayor, and David Walsh, arts editor for the World Socialist Web Site, spoke at a public meeting held by the Socialist Equality Party on Thursday attended by workers, retirees and youth from the Metro Detroit area. Collier and Walsh discussed the threats by Detroit Emergency Manager Kevyn Orr to sell off the artwork at the Detroit Institute of Arts. The defense of culture, they said, must be part of a program for the working class to fight back against the assault on jobs and living standards. "The art at the DIA belongs to the people of metropolitan Detroit," declared Collier, opening the meeting. "It is not the property of the banks and hedge fund managers to loot, nor their bought -and-paid-for flunkies to seize. They are estimating that the monetary value of the art is several billion dollars. From the standpoint of the ruling class, this is several billion dollars that should be in their pockets, not housed in a public museum available for the education and enjoyment of the people of the city." Collier said, "We say that the working class must not be forced to pay for a crisis that it did note create. The wealthy created the crisis, and they should pay for it. It is their bankrupt system, capitalism, that has plunged the world into depression, that is driving the world towards more wars and that is creating police state measures, including the massive spying operations that were revealed by Edward Snowden." "Our campaign," Collier declared, "is dedicated to educating the working class about the real social relations in society, to politically mobilize the working class in a struggle to reorganize the entire world economy on the basis of social need, not private profit." David Walsh's presentation reviewed the historical foundations of the development of museums in the United States. "The driving force in the present crisis is the effort of the super-rich to retain its wealth, to drain the population of Detroit, to reduce it to a state of pauperism," Walsh said. "The bankers have driven the country to the edge of abyss and they want the working class to pay for that." Walsh described what he called "the return of the aristocratic principle: that is, the idea that the people have no basic right to hospitals, schools, museums, that if they are to have such elementary social necessities it will be the result of the generosity of the super-rich. If Bill Gates or Warren Buffet or Mark Zuckerberg of Facebook decides to keep the DIA open, for example, or perhaps buys a city or even a small state, and keeps it going, we should all be grateful and tip our caps. "Of course, if Bill Gates decides to withdraw his money and close the museum, or put the art work in his basement, well, we're simply out of luck. This runs counter to the progressive social thought of several centuries, which found expression in the US in the basic documents of the American Revolution and the Civil War eras." Walsh then reviewed the history of the DIA and public cultural institutions in the US and internationally. "The opening of art and science museums was associated in the US in the 19th century with the ideals of the Enlightenment, with the development of public education and the general socially and culturally progressive agenda. "The generation, the population that emerged from the Civil War, which had gone through tremendous hardships to defend the Union and defeat slavery, was hungry for knowledge, progress, culture." Walsh also referred to the impulse given to art and public museums by the Revolutions in France in 1789 and Russia in 1917. "The Louvre, the largest and most visited art museum in the world, was the direct product of the French Revolution... The revolutionary government brought to power by the Revolution of 1789 took decisive steps--one year after the arrest of th e king, the museum was opened to the public." "The Russian Revolution took this process to a higher level, took far more decisive and revolutionary steps. The Bolsheviks, with the assistance of the left-wing and avant-garde artists in the early days of the revolution brought the artwork of Moscow to the surrounding provinces. Not only did they bring workers to see art, they brought art to the workers! "In short, the opening and accessibility of art (and science) museums has been associated with democratic and revolutionary social movements, or their consequences, with the effort to raise the cultural level of the population, with confidence and interest in human progress. Walsh concluded, "Taking all this into account, is it possible to imagine a situation in which the anti-democratic, crisis-ridden, aristocratic ruling elite in the US, which cares only for its own wealth, wh ich hates and fears the population, could permit the Detroit Institute of Arts, with its vast artistic richness, to continue operating as a museum open and accessible to the public?" Both reports initiated a great deal of discussion. Jeff, an adjunct teacher at Wayne State, has been following Collier's campaign for a long time. "It was good to meet D'Artagnan in person. Of all the candidates, I'd vote for him. He's the only one that actually speaks to the needs of society vs. the rich. The other politicians focus so much on racial politics. That's not the central issue at all. "One of the reasons why I like his perspective is that capitalism has so much control. Look at the NSA. It's disgusting that they watch everything. That's not freedom. I see Collier's campaign, and socialism, as fighting for something where the people who actually know what they are doing in control of that aspect of society, not some banker." Wardell, a retiree, commented, "The discussion at this meeting was on target. I've come to meetings of the Socialist Equality Party before, and what they say is always a propos. They do their analysis with due diligence. It's true that the attack on the DIA is bound up with capitalism. I think it is the height of hubris. That he [the emergency manager] even poses the question is not something you joke about. It's like joking about selling your own mother. The question shouldn't be posed. "He's testing the waters. Orr and the bankers do want to sell the art, and they want to know what the reaction of people will be if they go through with it. "This isn't a revenue issue. They just had the Grand Prix at Belle Isle. Why not tax that? You could generate all the revenue you need. The banks just don't want people to have anything good in life." No to Orr and the bankers' dictatorship! For a working class and socialist alternative to the looting of Detroit!